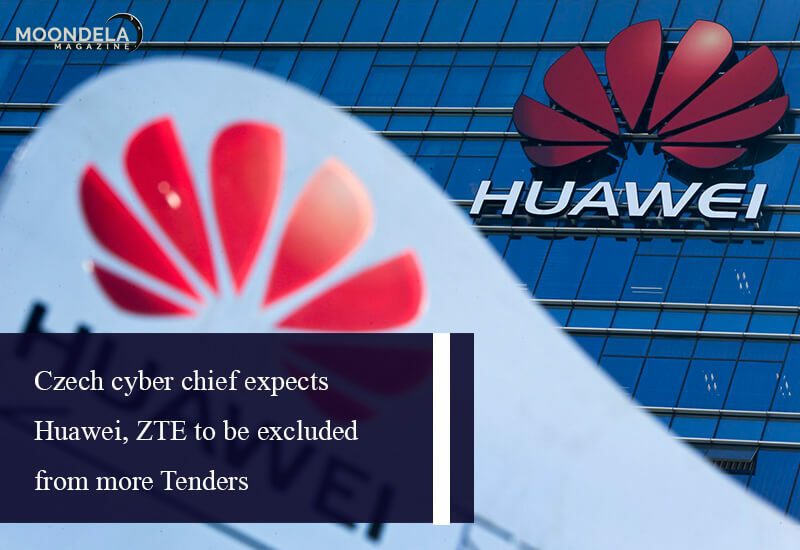 Huawei and ZTE will be left out of state tenders following the tax jurisdiction excluded them, the head of the Czech cyber watchdog, that issued security warning regarding the Chinese technology companies, said. The taxation office became the first Czech power to protect against the Chinese groups from getting involved in a tender following the cyber watchdog’s (NUKIB) warning in December. Wondering if there could be many more instances of the Chinese companies being excluded from tenders, “Yes, we all expect it’ll work in this way.” But technology website reported on Tuesday that the Interior Ministry had given a contract to Huawei last week for delivery of equipment for an inner system of the police headquarters. Huawei is currently facing international scrutiny with the Chinese authorities and allegations that Beijing may use its technology for spying, which Huawei denies. The Czech watchdog had cautioned network operators in the end of 2018 against using hardware or software made by both Chinese firms, saying they could pose a threat. Huawei denied while ZTE could not be reached for comment following the NUKIB warning, it posed a threat. NUKIB’s warning doesn’t constitute an outright ban but requires 160 private and public operators of infrastructure that is critical to conduct an analysis of risks and behave appropriately. Navratil said NUKIB stood behind its caution, which he said was the result of the political-legal scenario in China. “We accumulated an entire file of advice, and when we looked, we found out there was nothing else to do but provide a warning,” he explained. “The new 5G networks will likely replace also fixed networks because data transfer will be equally economical and fast,” Navratil was quoted as saying from Pravo. “Quite simply, who controls the 5G system is going to have a basic influence on the working of this nation. If it is a foreign actor, which would behave in the interests of its own state rather than ours, it will be a major issue,” he added.